Amea is another action horror rpg game from godlimations on armorgames. The game follows the story of a young girl who wakes up to find out that she lost her memory. She awakens in a little town full of bad things with big, bad and sharp teeth who wants kill her i.e. zombies and other horrific foul beasts including but not limited to skeleton pirates and flesh eating ground with spikes. 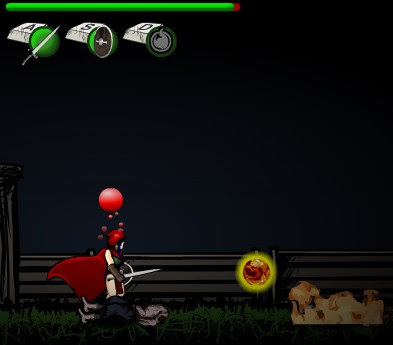 Explore and pick up swords, shields and magic items which will enable you to cast spells to defeat enemies. Also, you can upgrade your spells when you level up. What's nice in this game, is the animation and gameplay specially the combo moves. Sound effects and ambient sounds are good, too. But sometimes, finding your way, finding quest items for example can really be a pain. Anyways, if you need some guide, tips and hints, see this Amea walkthrough in the meantime which covers the forest enigma part.